Find general information on Lakers tickets for Summer League 2019, Preseason 2019, and the 2019-20 regular season. This page will be updated as more information becomes available. 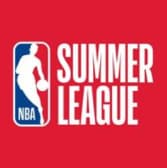 Las Vegas NBA Summer League 2019 will run from July 5thto July 15th, 2019. Tickets for the NBA Summer League are not yet on sale. Want more deals? Get emailed information and offers for Lakers tickets by signing up for our Lakers Promotions emails. The Los Angeles Lakers have not yet released the schedule and ticket availability for 2019-20 Preseason tickets. Once we have that information, we will post here. The preseason for the Lakers will include 2 games in China against the Brooklyn Nets on October 10th and 12th. If you would like to take part in future presales, you can sign-up for Lakers Promotions emails. Participants in the presales will have the instructions emailed out to them during the week leading up to the presales. The 2018-19 regular season has concluded. The schedule for the 2019-20 regular season will be released in August and ticket information for the 2019-20 regular season will be updated at that time. The regular season runs from late October through mid April. Subscribe to Lakers Promotion e-mails here to receive the most up-to-date information. Tickets will be available through AXS.com and Lakers Ticket Exchange. Ticket Exchange is the most secure way to get tickets from other fans, with tickets verified by Ticketmaster. Once you have purchased your ticket, you will receive your bar code 4 days prior to the event. Season Seats: Visit our season ticket waiting list page to get information on joining our waiting list to become a Lakers season ticket member. Group Tickets: Groups of 20 or more can take advantage of our group tickets packages. Get more information on our group tickets page or email us at grouptickets@la-lakers.com. Map and Prices: You can consult our 3D virtual arena map to familiarize yourself with STAPLES Center prior to searching for tickets. An updated map for the 2019-20 season will be uploaded once it is available, so the current map is only a guide. Ticket prices vary by game and location. You can find specific prices for each game when you find the event you're interested in on AXS.com, once tickets go onsale. We will update our list of in-arena giveaways and promotions on our Giveaways page. once that information is available after the schedule for the season is released. If you have digital tickets, your mobile barcode will be available starting 4 days prior to the game. All digital tickets can be managed on the Lakers Mobile App, through the Arena tab. To view or forward single game tickets purchased through AXS.com, just click on the Flash Seats button within the app and log into your account. You are also able to scan into STAPLES Center with the credit card you used to purchase your tickets. All other tickets will be available to manage through the Account Manager button in the app. For more instructions on managing your tickets please visit Lakers.com/AccountManager. For qualifying teams, the playoffs run between April and June with details on tickets being released later in the season. Tickets for later rounds become available after the current series ends. Tickets are available online at AXS.com. Through Lakers Ticket Exchange, where you get tickets direct from other Lakers fans, verified by Ticketmaster. At the STAPLES Center Box Office. STAPLES Center Box Office will not sell tickets on the first date of a public on-sale. You may also charge tickets by phone by calling 1-888-9-AXS-TIX (888-929-7849). 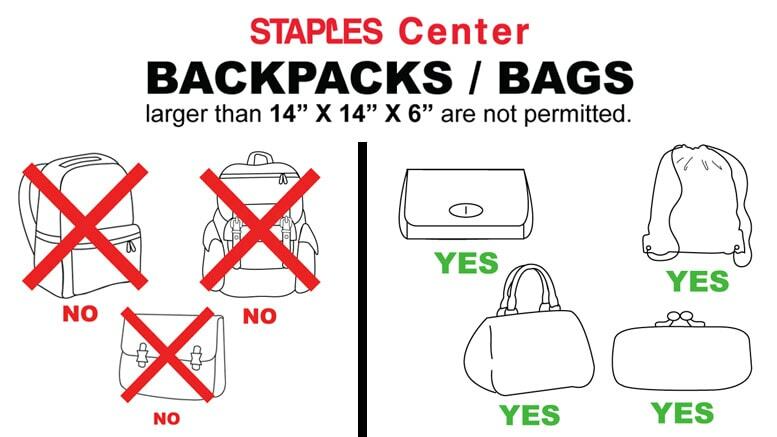 Fans attending games should be aware that all bags larger than 14" x 14" x 6” (i.e. backpacks, suitcases, beach bags, etc.) will be prohibited from entry into the arena, in accordance with STAPLES Center and NBA policy. Exceptions may be made on a case by case basis for guests with special medical needs or guests with infant bags (with an infant present). Please consult the STAPLES Center Guest Services page to see all the policies for games at STAPLES Center. If you want to get access to our best locations, buy straight from other Lakers fans through the Lakers Ticket Exchange. Ticket Exchange is safe and secure and is the only outlet on the secondary (resale) ticket market recommended by the Lakers and has tickets verified by Ticketmaster. If you are unfamiliar with the buying process through Ticket Exchange, please learn more at our Ticket Exchange FAQ's below. Or buy tickets through Lakers Ticket Exchange. Welcome to the Los Angeles Lakers Ticket Exchange where you can buy tickets from Los Angeles Lakers Season Ticket holders! Whether you're buying tickets for yourself or a large group, the Lakers and Ticketmaster have made it easy to look for and buy the tickets you want. Resale tickets are available through Lakers Ticket Exchange. What is the Los Angeles Lakers Ticket Exchange? At the Los Angeles Lakers Ticket Exchange, you can purchase tickets directly from Los Angeles Lakers season ticket holders. Just browse our listings and purchase the Los Angeles Lakers tickets that you want. Your tickets are delivered to you electronically via TicketFast®. After your purchase, a link to print your tickets is sent to the email address you provided once your tickets are confirmed by the seller. Go to Lakers.com/TicketExchange to view a listing of all Lakers home games. Scroll down to the game you would like to purchase tickets for and select "Buy Tickets" to see all available tickets for that particular game. You may sort your listing by Price, Section, or Row. You can also filter the available seats by Quantity and/or by setting a Price Range. You can also use the interactive seating map to find seats in a particular section(s). Select the tickets you would like to purchase, click Buy, and proceed to checkout. The original tickets are cancelled and you will be able to print your electronic tickets online. If you don't see the tickets you want, check back often for new postings by other season ticket holders. Do I have to pay any fees to use this service? If you buy tickets on Lakers Ticket Exchange, you will pay the displayed price plus a 20% service fee. Additionally, you will be charge an authentication verification delivery fee of $4.95 per order, which will be retained by Ticketmaster. How will my tickets be delivered? After you complete your purchase, your tickets will be delivered electronically and must be scanned from a mobile phone for entrance into STAPLES Center. Visit our Mobile Ticketing Guide for instructions on accessing your mobile tickets. What if I have questions or concerns about my purchase? Lakers Ticket Exchange by TicketsNow via email at ticketexchangesupport@ticketsnow.com, or call 800-842-7112. Can I return my tickets if I change my mind? All ticket sales are final — no returns, refunds or exchanges. The same applies to all other items. What happens if the event is rescheduled, postponed or cancelled? Occasionally, events are cancelled or postponed due to weather conditions or situations affecting the performers, players, other personnel or staff or the audience. Refunds will not be issued in the event of a postponement. This ticket will be good for the rescheduled date. If the event is cancelled, you will receive your refund via a credit to the credit card you used to purchase the ticket. Please hold on to your ticket and please check this web site to see if any additional instructions are posted.